If you are a fan of horse racing, Each Way Sniper is THE product for you. This piece of software is an E/W arbing product, so you won’t need to rely on free bets, bookies’ bonuses or promotions. It locks in your profit, and ensures that you win every time you place a bet. The best thing is it’s so easy to use. It will take only a couple of hours before you are well equipped to place your first ‘snipes’ and watch your profit grow. What is Each Way Sniper and how does it work? It exploits a legal loophole within the bookmakers each way pricing. This is built into the horse racing rules — which means it cannot be removed. Of course, the bookies are aware of this loophole, and tried to have it removed. Since they failed, we continue to abuse it — FOR YOU. 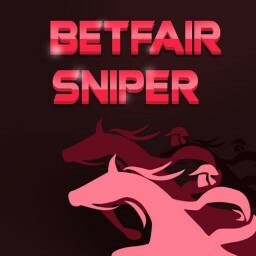 Each Way Sniper is rather simple – you place an each way bet with the bookie, lay it off on BetFair to lock in your profit, sit back and watch your earnings increase. Unlike gambling, this loophole is not based on luck but on maths. It guarantees that your bets will bring you back profit. When you purchase Each Way Sniper, the package includes everything you need to successfully lock in profits. Each Way Sniper has access to over 2 hours of video tutorials, all of them kept short and simple. I start off by explaining the very basics of each-way bets, and move to on to introduce you to the software. I also give you insights into some example bets which I personally placed. Once you’ve watched them, you will have a much clearer picture of the loophole and how exactly profits get locked in. Online Betting Calculator, which does all the maths for you. It will tell you how much to place so you lock in a profit regardless of the outcome. Non-Runners — Constant updates about the non-runners in any of the races. The Online Betting Software. With Each Way Sniper, you will have access to the EWS software platform where all of the best bets are located in one place. Here, you can also see a rating for each horse. Anything above 100 translates to an instant profit. This saves you time and effort while helping you earn more money than ever. It gets even better — the software screens and flags profitable bets every 30 seconds! You are directly linked with the bookmakers and exchange bet slips, so there’s only one click standing between you and your profit. These tools are all well explained in my video tutorials. Whenever you have a new concern or a doubt, please check the Frequently Asked Questions (FAQ) Tab, which I regularly update. Another new addition is the E/W Sniper Value System. This started out on the Profit Maximiser forum and became increasingly popular. While it eliminates some of the downsides of backing and laying Each Way Sniper bets, it is NOT risk free. It works on gubbed accounts. This strategy allows you to place your E/W bet with the bookie, without placing the lay bet. You are securing odds higher than the true chance of them winning. By placing a large enough sample of bets, this ensures you will win more than you lose. Your success depends on bankroll management and volume of bets. To make it really worthwhile, you need to place a minimum of 500 bets while you are testing the strategy. On Each Way Sniper, you will also be able to watch over my shoulder and see the exact strategies I use. Why did I name it 468 Value Strategy? It made me £468 in hard profit placing £2 E/W bets. I give you my results and I show you exactly how I did it. It’s really easy, you can start applying it immediately. I did say Each Way Sniper did not require any bonuses from the bookies, but I forgot to mention that the product does include some bonuses – given by me! The first bonus is our Extra Places System. If you place a bet and your horse finishes in the extra place position, you win with both the bookie place bet and the Betfair lay bet, so you hit a double pay-out. If you cover more horses, you have a bigger chance of hitting that extra place. Each Way Sniper gives you access to the Extra Places software & calculator, which finds the bets for you. It is like a dream come true for the world of horse racing. If you want to ‘lock in’ a profit from the extra place, use our Extra Place Dutching System. You back every horse in the field, which guarantees you hit the extra place. This comes with a calculator, online software and training, so that you get everything right in record time. The Golf Extra Places Software takes advantage of the major golf tournaments to bring you even more profit. Again, you will receive full training before you start making money. So, how much money can you make? It really depends on you and how much time you are willing to put into it. Horse races are normally held in the afternoon & evening, so this is when I would recommend you spend a bit more time in front of your computer. The average profit I achieved whilst making the training videos was £4-£5 per snipe, but some can bring you as much as £10 per £25 each-way stake. There can be up to 50 snipes on a good day! Each Way Sniper is available for only £1 for a 14 day trial, and additional £99 + VAT for your 12 months access. Try it, and if you don’t love it, you can always cancel it any time within your first two weeks. Each Way Sniper is affordable, fun, and is a secure money-maker. My only recommendation is that you check it out while the trial is available. Betfair Sniper is a strategy designed for horse racing markets. The product focuses only on the Betfair exchange, so no bookie accounts are needed to use it. The emphasis is one special type of horse race. There is a set of very simple rules you need to follow to ensure you pick the right race. The Betfair Sniper system introduces one of the simplest horse racing strategies available. There’s no complex maths behind it, just a few easy principles and careful monitoring of the races. Bonus Bagging is already well-known system among matched bettors. It attracts people brand new to matched betting. Read our Full Review for Bonus Bagging. 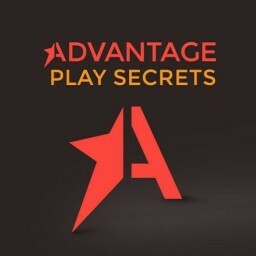 Advantage Play Secrets is a new product that gives you access to four simple betting strategies. This product is good for beginners looking to have a smooth start. 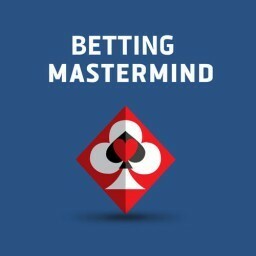 Betting Mastermind is the ultimate matched betting package. With one annual subscription, users gain access to thirteen different products. Read our Full Review! With EV Maximiser, you’ll be able to insert all of the various details of any offer that you’d like to complete. 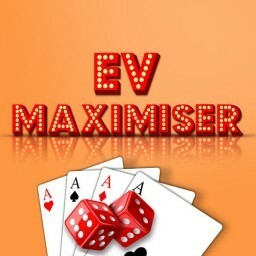 Read the Full EV Maximiser Full Review. 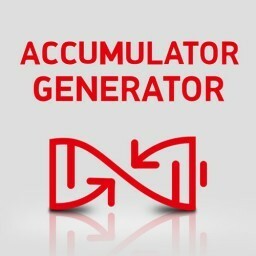 Accumulator Generator is suitable for beginner and advanced bettors. Even if it’s your first bet, Accumulator Generator will make sure it’s a successful one. 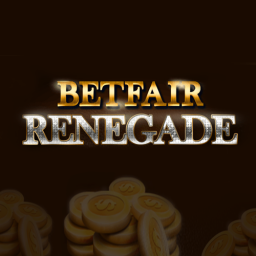 Betfair Renegade is another product which does not need any bookie accounts to work, but instead relies only on the Betfair exchange. It is a piece of football betting software, available to Betting Mastermind users. The system basically uses careful mathematical calculations to determine the “true odds” of a bet. It compares these true odds with the Betfair odds to see which bets are overpriced. There is no laying involved. Betfair Renegade users simply need to identify a good value bet, place it, and wait for their profits to accumulate. Profit Maximiser is not a gambling system. It is a low-risk system based on mathematics, not luck. 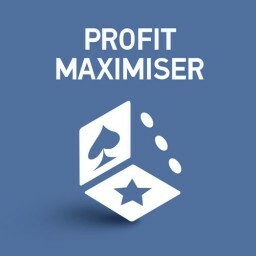 Read our Full Review for Profit Maximiser Now! 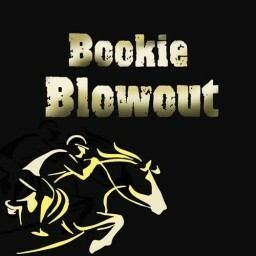 Bookie Blowout is a carefully designed system that works with horse racing selections on a daily basis in order to make easy profits. Read our Full Review!